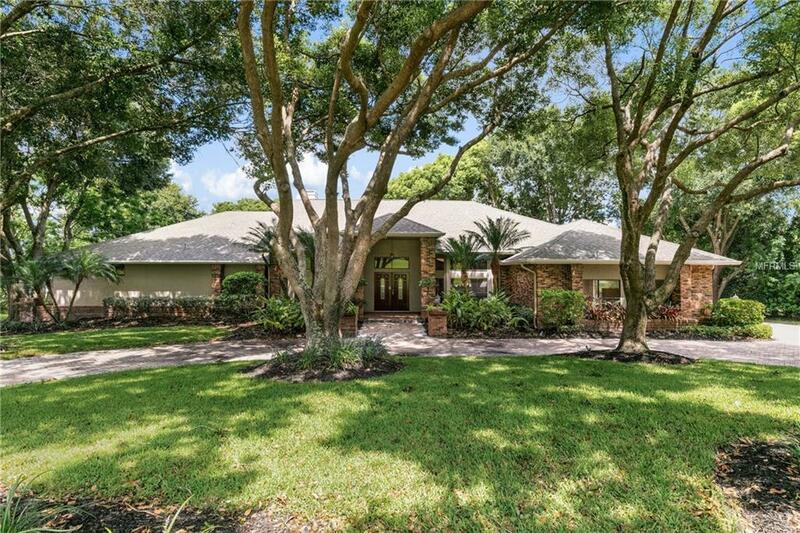 AMAZING OPPORTUNITY ON PRISTINE LAKE OLIVIA IN WINDERMERE! Don't miss the chance to make this spectacular home yours! This house is brimming with charm, functionality & upgrades galore. 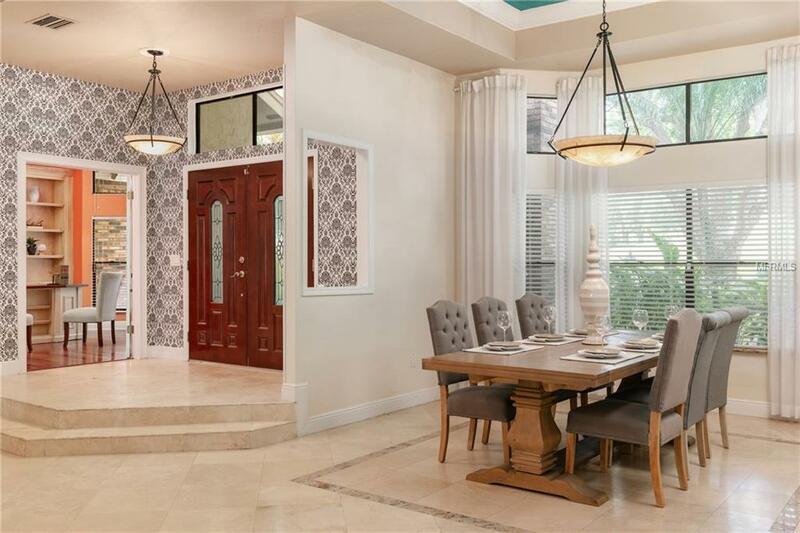 The moment that you enter through the front doors you will be enveloped in the serenity of Florida lakefront living. This welcoming abode greets you with sweeping views of Lake Olivia and draws you in further with its casual elegance. 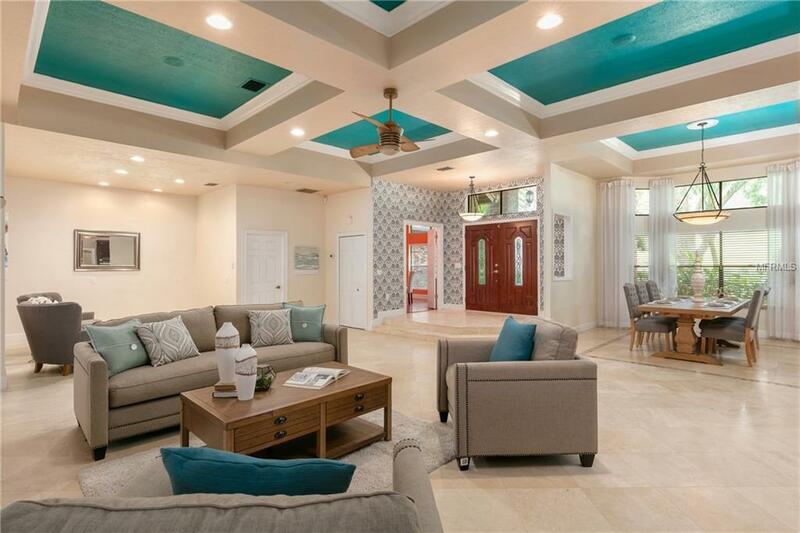 The home is situated on 1 floor and its split floorplan across almost 3500SF give you ample space for your day to day life or entertaining watching sunset views. The kitchen is richly appointed with beautiful wood cabinetry, stainless steel appliance & granite counter tops. It also features an eat-in space with a double sided fireplace that is open to the great room. The master bedroom is very large and features enormous picture windows that bring the beautiful lakefront scenery in to be enjoyed. The master bathroom features dual sinks, plenty of storage, a garden tub & a separate multi-head shower. 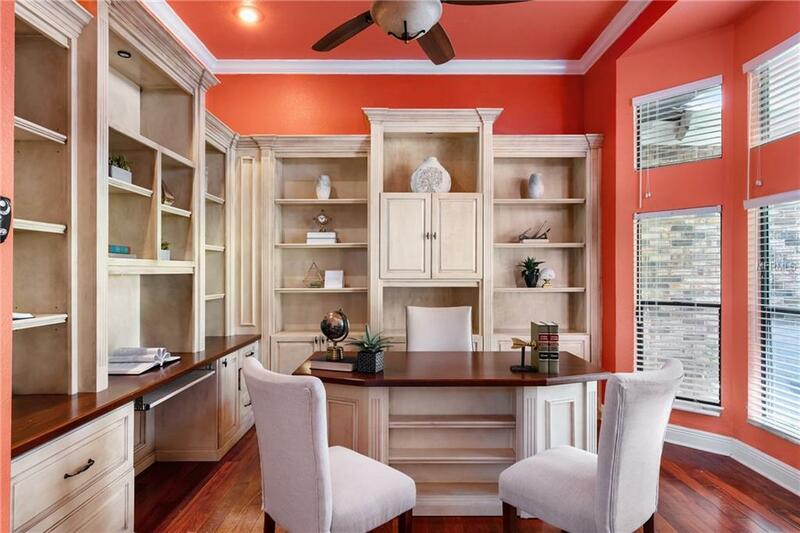 The office is beautifully appointed with custom built-ins, and the 4th bedroom has been converted to a home theatre. The outdoor living space of this home is as equally impressive as the inside. It features an enormous entertaining area with a pool table, a hot tub and beautiful free form pool; all within a screen enclosure so that it can be enjoyed any time of year. There is a dock with a covered boat house and boat hoist, and a fenced in dog walk. Don't miss this rare opportunity!